Clash of the Titles is so excited to check in with Amanda Flower, one of the founding members of the COTT Family. From the looks of things, she has some pretty exciting things going on! It’s Christmastime in Amish Country, and Chloe Humphrey has begun settling into her life in Appleseed Creek excited to see where her new relationship with Timothy Troyer will lead. Unfortunately it leads to murder when the couple discovers the body of Amish teenager Katie Lambright while on their first date. Near the scene there is evidence that Timothy’s friend and auto mechanic Billy Thorpe is involved with the crime. The police reveal Billy is not really who he said he was and has been living the last decade in Knox County under a stolen alias. Now, Chloe and Timothy must find Billy, bring him to justice, or prove his innocence. Amanda Flower started her writing career in elementary school when she read a story she wrote to her sixth grade class and had the class in stitches with her description of being stuck on the top of a Ferris wheel. She knew at that moment she’d found her calling of making people laugh with her words. Her debut mystery, Maid of Murder, was an Agatha Award Nominee for Best First Novel and the first in a series featuring amateur sleuth India Hayes. Like her main character, Amanda is an academic librarian for a small college near Cleveland. 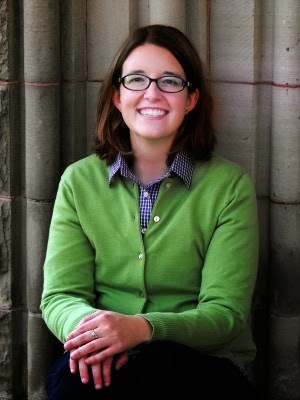 She is a member of American Christian Fiction Writers, Mystery Writers of America, and Sisters in Crime. Her next mystery, Murder in a Basket, was released in January 2012 from Five Star. 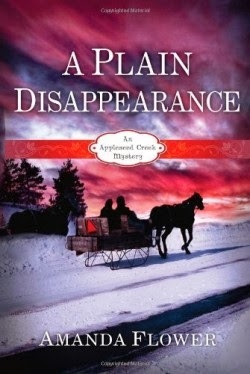 In July 2012, her first Amish mystery, A Plain Death, was released from B&H. For Penguin/NAL she writes under the pen name Isabella Alan. Visit her online at www.amandaflower.com. Be sure to check back with Clash of the Titles for all the latest in Christian Fiction!